Want to brush up on your nursing math? Here's a nursing section with formulas and on-line calculators to solve dosage and rate problems. Includes metric conversions, other clinical calculators, and a online quiz. Meet Gabby my American cocker spaniel. Read his life story and see his pictures. Includes a new pictures page and picture archive. Find out what he's doing now. Contains all Gabby's past web pages are here starting with May 2000. Plenty of pictures to see, 182 so far. The Lance missile The last U.S. short-range nuclear missile of the Cold War infamously known as the neutron bomb. Provides information about the Lance gathered from the Internet. My opinion of Netflix If you were ever interested in trying Netflix video rental service, please read this first. 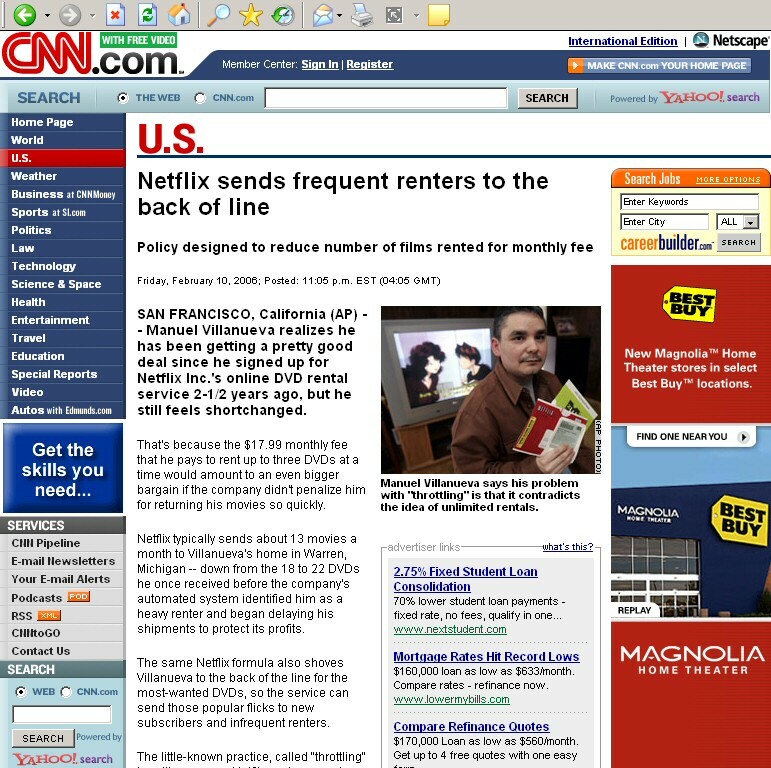 My thoughts on Netflix were recently published on national news. Japanese flashcards to help you learn Hiragana and Katakana symbols.